Latest post Thu, Apr 23 2009 2:29 PM by cwilliamson. 9 replies. I've tried converting the files to Avid DNXHD files in Quicktime but the same error occurred. It seems I've exhausted everything except laying of to tape and bringing it in that way which would cost me time and money already spent trying to fix this issue. Anyone have this happen before of know how to work around this. 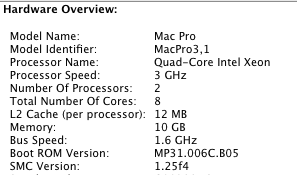 Using Avid 1.3.1 on intel mac Quad core 1 x 3 ghz, 10gb of ram, 10.5.6. It looks like others have had the same issues and had no success finding a solution. Someone on a PC figured that the files were too big and broke them down to less than 1.7 gb but they were bringing in mpepgs and I've already brought hd quicktime much larger (100gb) in with no problem. 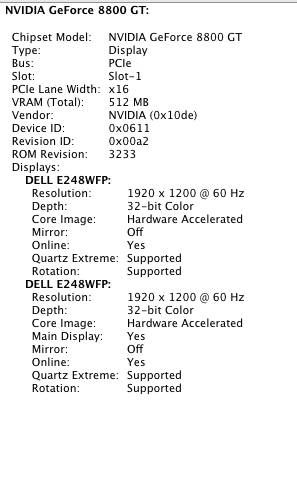 what about your system specifications? quicktime version? nvidia driver version? how did you try to convert the files? QT Pro? can you playback the files using QT? I'm using quicktime pro 7.6. I was able to open the original 8 bit quicktimes in both final cut and quicktime. Thanks for taking a look. I really appreciate. If you need any other info let me know. have you tried to export the video in QT Pro using an avid codec? cool. I'll take a look. I did try exporting the video as avid dnx hd files but encountered the same error. Currently our online guy is trying an animation codec, see if maybe that works. 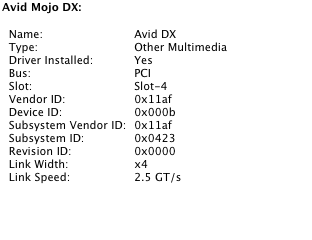 Looking into either upgrading avid to 3.5 trial on a comp running 10.6 and running a test and bringing it in. Maybe that will help to eliminate that as the problem. Will let you know how it goes. 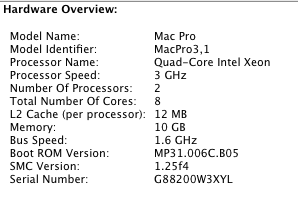 Looks like it was as simple as upgrading the software to match 10.6 specs or vice versa. Seems silly that something so simple could cause such a headache but hey atleast the solution was just as simple. Thanks for the help Moses M.